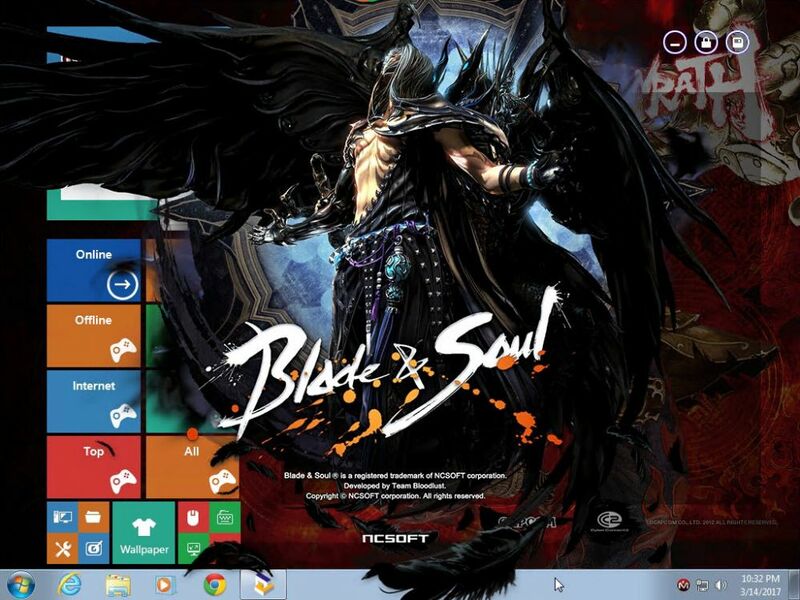 When you install Blade and Soul in the server and run the game in client. 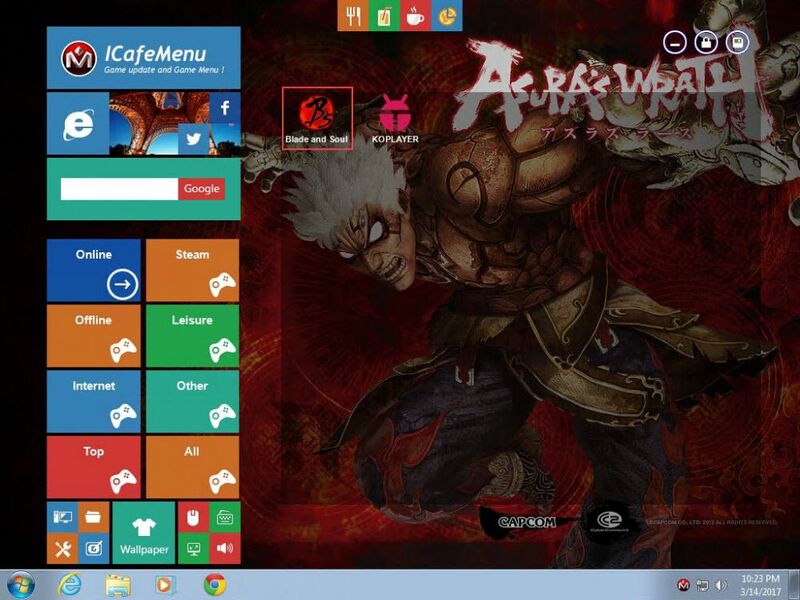 It will show you install now error. Learn how to fix it. 1. 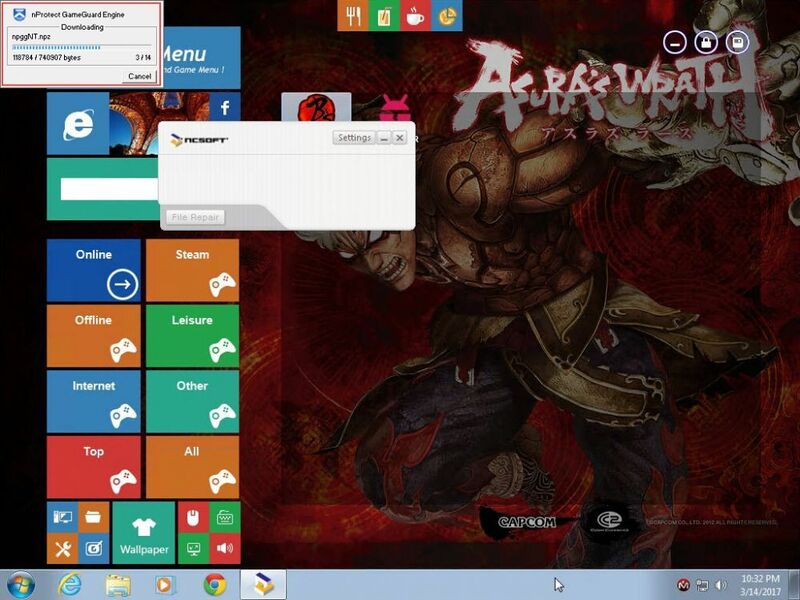 Enable superclient on one of your client and boot it. 2. Launch the Blade and Soul game from desktop shortcut or iCafeMenu (Figure 1)..
3. 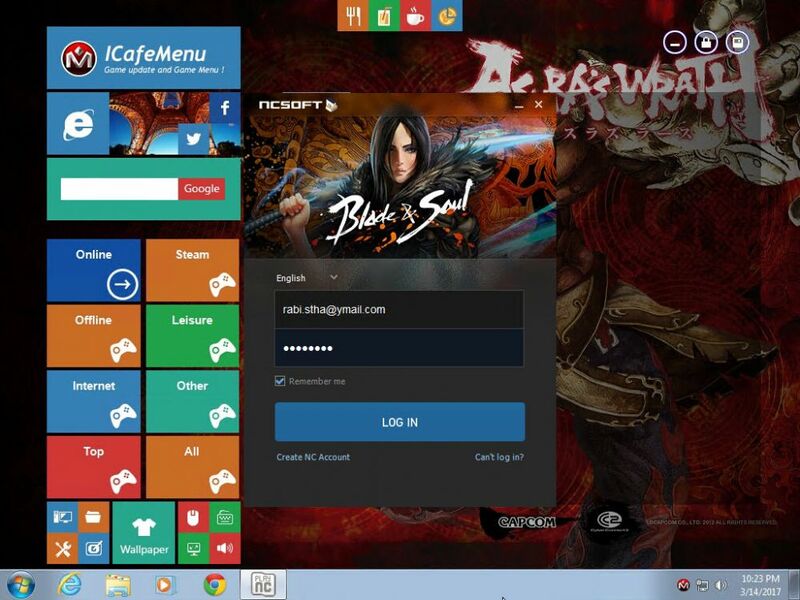 Login to Blade and Soul game using your credentials (Figure 2). 4. 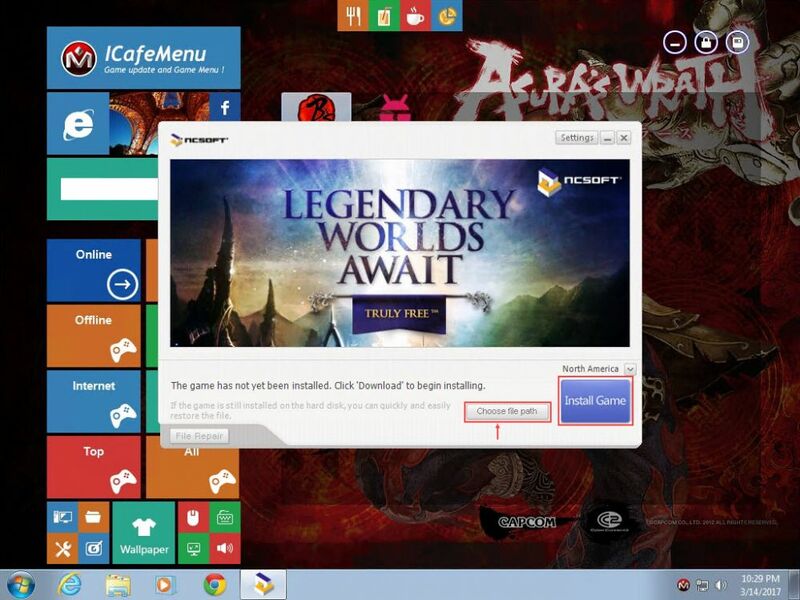 Now, the game will show you the "Install Now", click the "Choose file path" button beside it (Figure 3). 5. 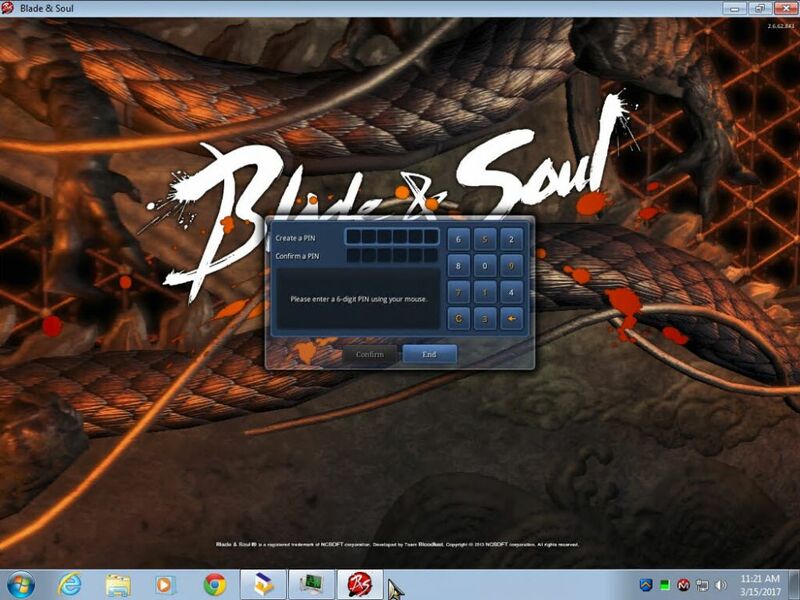 On the "Browse For Folder" dialog box, go the the Blade and Soul game folder and click "OK" button (Figure 4). 6. Now, it will search for updates (Figure 5). 7. After few seconds, it will show "Play Now" button, click it. (Figure 6). 8. Now, the Blade and Soul game launcher will verify the files (Figure 7). 9. 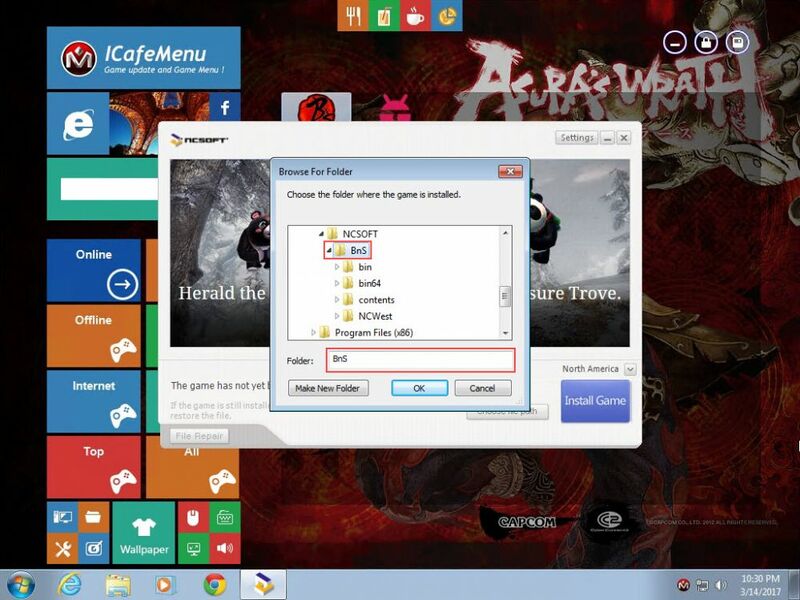 Once the files are verified, the game launcher will download and update nProtect Game Guard Engine files (Figure 8). 10. 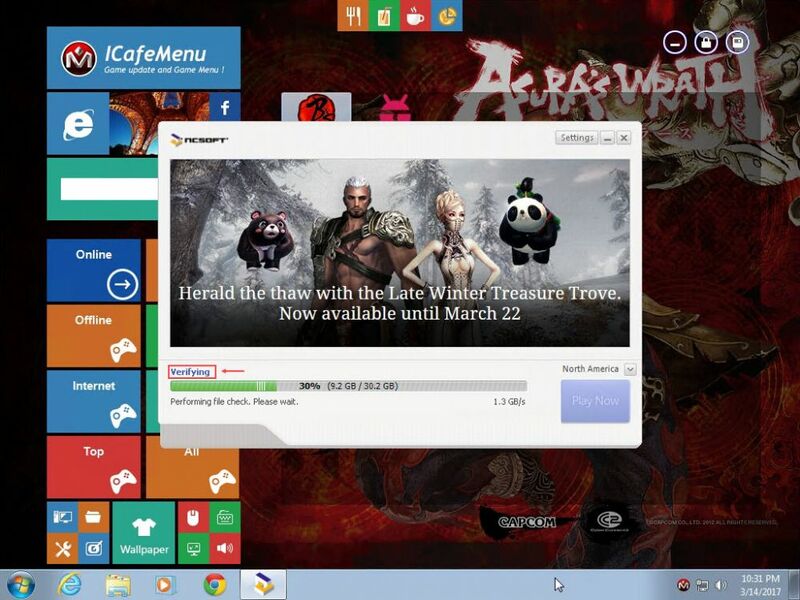 After the nProtect is updated, the game will launch (Figure 9). 11. Enjoy the game (Figure 10). 12. Now, that the game has launched properly, turn off the client and then save the superclient data. 13. Subsequent boot of client, you will not see the "Install Now" again.